Made from small wooden spools. 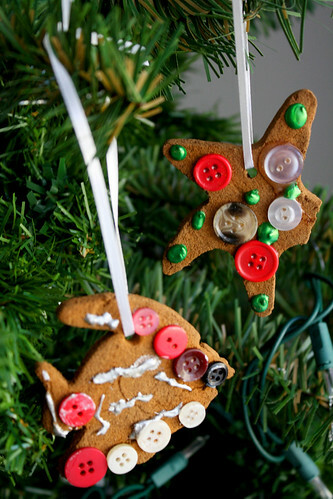 Gingerbread Ornaments- Some broke in the mail though. This was an extra one my mom put in the box she picked up from this boutique I always go to down there. I love it! 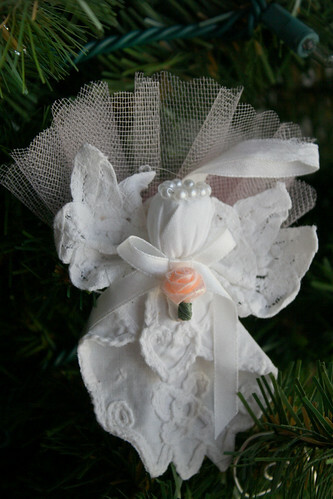 I especially love the ribbon candy ornament! 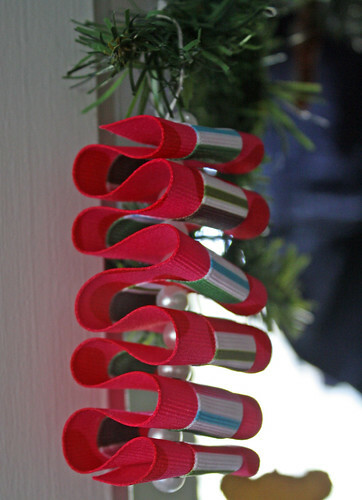 I agree with Heidi, the ribbon ornament is innovative and just plain cool! I LOVE LOVE LOVE the ribbon candy! 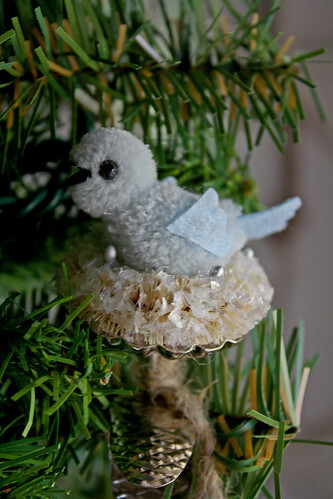 I might have to make some last minute gifts… They are too cute! 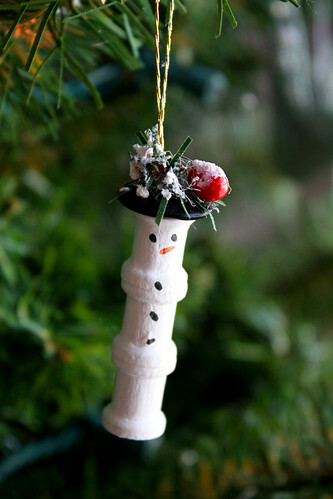 What a great idea…I LOVE that spool snowman. 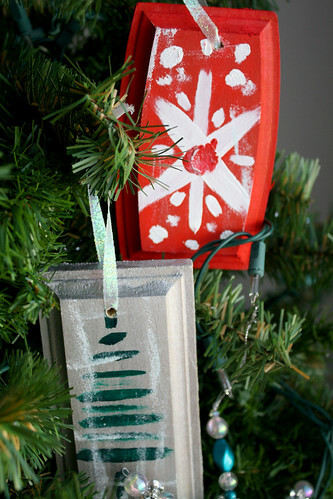 Enjoy your ornaments.